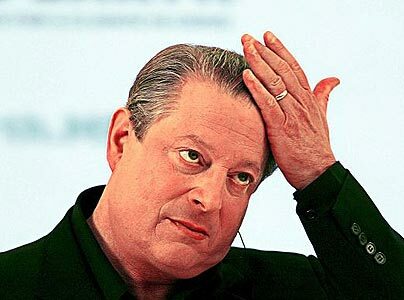 If anyone out there is still taken in by Al Gore's convenient lie, namely man-made global warming, take a look at these two documentaries which show how this fraud is meant to instigate the first ever world-wide tax, a UN carbon tax paid to the same international banksters engineering the current economic bust. Above is Global Warming or Global Governance? below is The Great Global Warming Swindle. Last week hackers broke into emails and documents from the Climate Research Unit at East Anglia University which expose deceit, duplicity and collusion between climate researchers to maintain the fraud of the manmade global warming theory. They found that supposed "scientific researchers" were plotting to shut out dissenting editors from peer-reviewed journal boards, falsify data, and manipulate the submission of papers. Among the thousands of emails and documents hacked or leaked from the Climate Research Unit at East Anglia University last week are several references to an agenda to shut down scientific debate on global warming by stifling counter-evidence from other scientists. Dating back to 1996, the emails show that both U.S. and U.K. based scientists referred to any research offering alternate viewpoints as "disinformation", "misinformation", or "crap", that needs to be kept out of the public domain. The emails include deliberations amongst the scientists regarding efforts to make sure that reports from the UN’s Intergovernmental Panel on Climate Change include their own research and exclude that of dissenting scientists. In one of the emails, Phil Jones, the director of the East Anglia climate center, suggested to climate scientist Michael Mann of Penn State University We "will keep them out somehow - even if we have to redefine what the peer-review literature is!" For anyone who believes the media/IPCC hype that "all" scientists agree that Earth is warming and it's due to human carbon emissions, please take a look at The Oregon Petition. This petition has been signed by over 31,000 climatologists and meteorologists (vs. the IPCC's 2,500, half of whom are just UN bureaucrats) stating that "There is no convincing scientific evidence that human release of carbon dioxide, methane, or other greenhouse gasses is causing or will, in the foreseeable future, cause catastrophic heating of the Earth's atmosphere and disruption of the Earth's climate. Moreover, there is substantial scientific evidence that increases in atmospheric carbon dioxide produce many beneficial effects upon the natural plant and animal environments of the Earth." Thanks to Martin for creating and sending me this excellent music video "Don't Take the Swine Flu Jab" featuring Charlie and Danny. This book written by a Freewoman is the best read I've found so far relating to the Freeman movement. She gives the history, laws, court cases, and actual accounts of her experiences dealing with bureaucrats and policemen who unlawfully attempt to impose their illusory authority onto her. From refusing unlawful income tax, to driving and marrying without a license, this book will illustrate explicitly how domesticated we really have become, and how to take our power back. I have recently been researching the Freeman/sovereignty movement and I'm convinced that this is one of the most important methods of breaking our chains of government control. 99% of us are completely ignorant of the Law and our rights which allows bureaucrats and policemen to rule over us with impunity. When we start to educate ourselves about the fraud of commerce law, capitus diminutio maxima, etc. we begin to take our power back. Max Igan is the Australian researcher/activist responsible for the excellent "Fighting the NWO with Global Non-Compliance" documentary, and "Earth's Forbidden Secrets" book. Here is his American Voice Radio program from Oct. 22nd. This is a great broadcast that really gets to the heart of the most important issues facing humanity. It is in 6 parts, the rest of which can be found on his YouTube channel here.